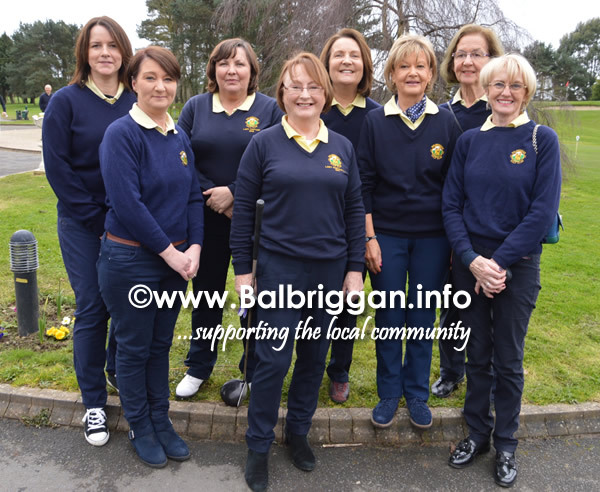 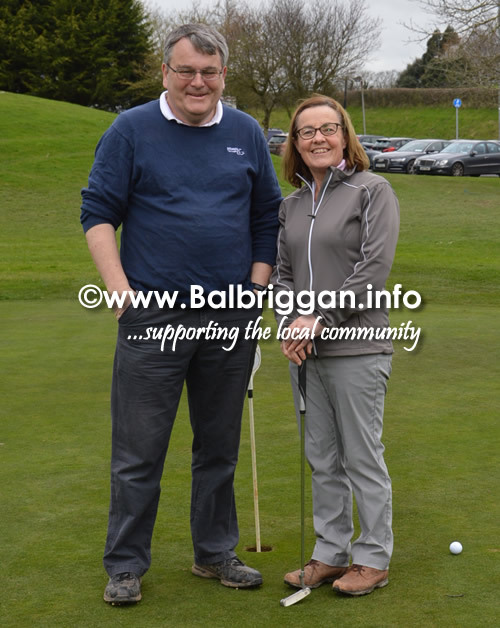 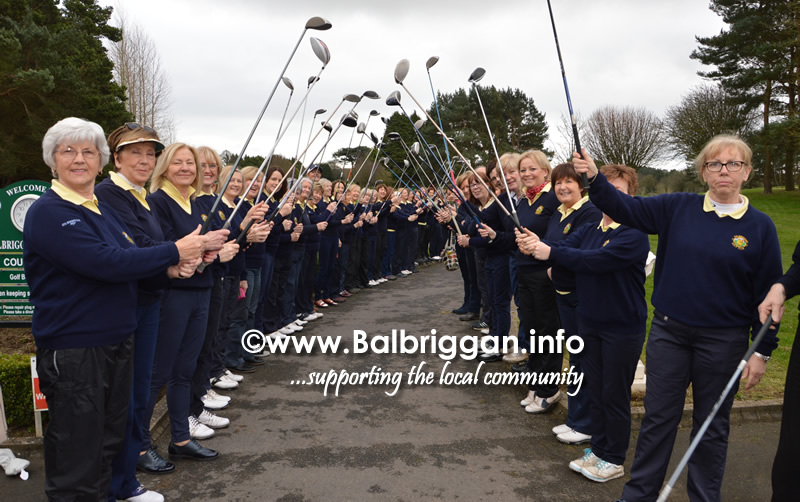 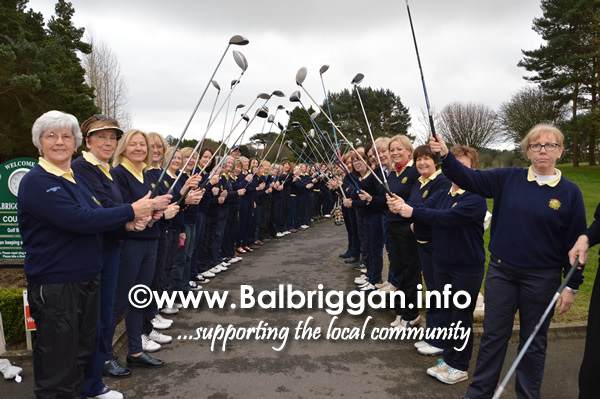 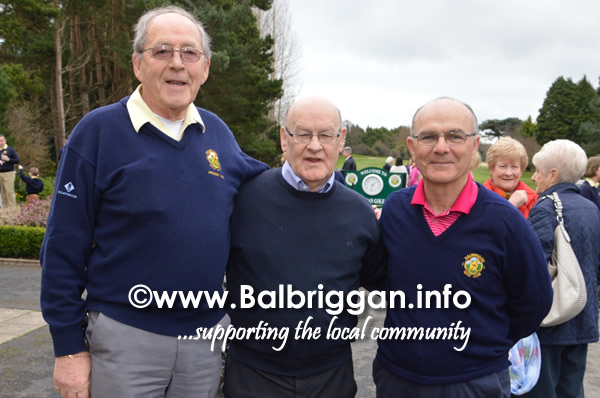 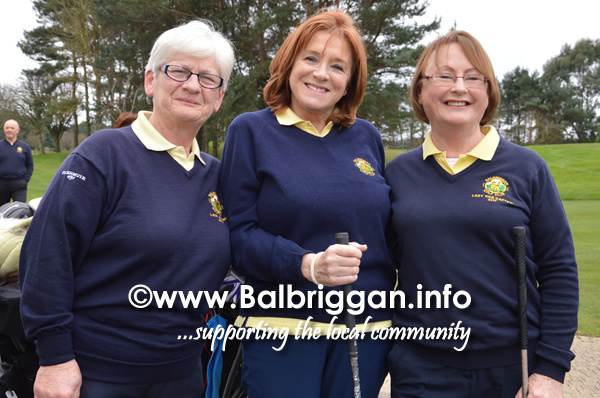 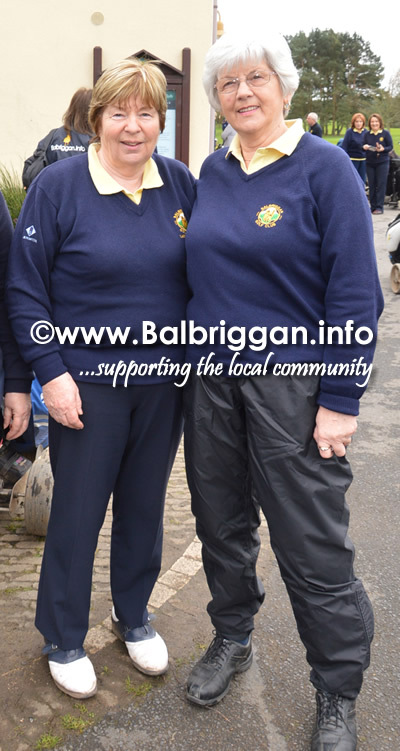 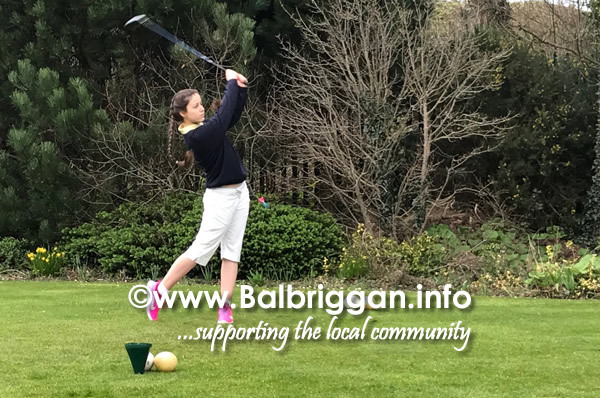 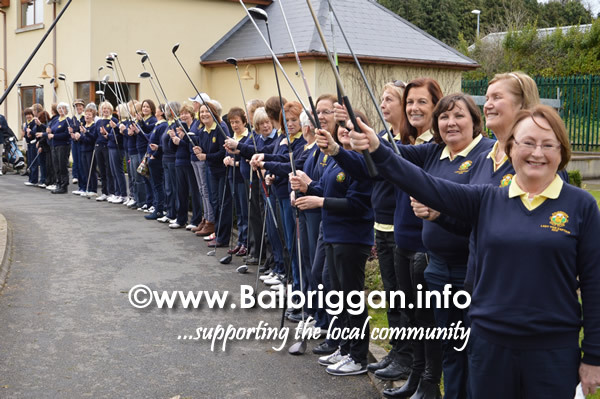 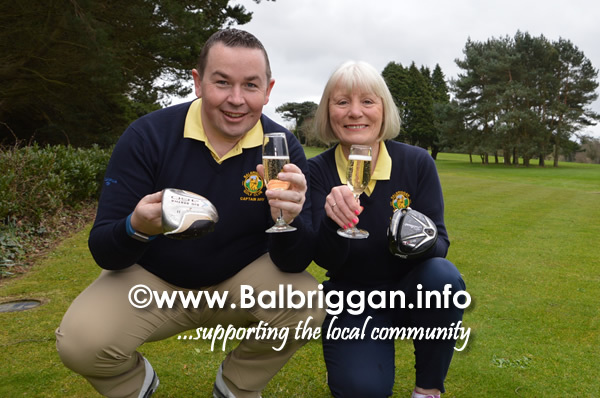 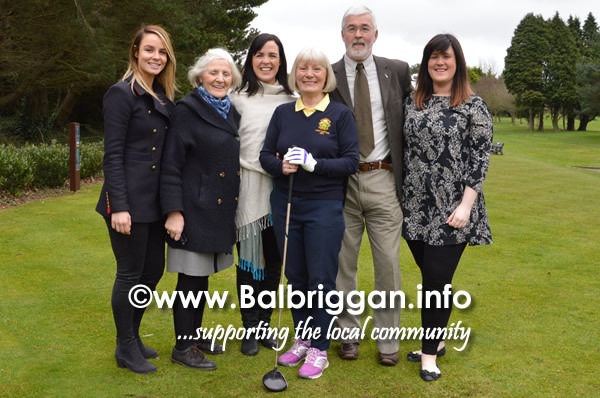 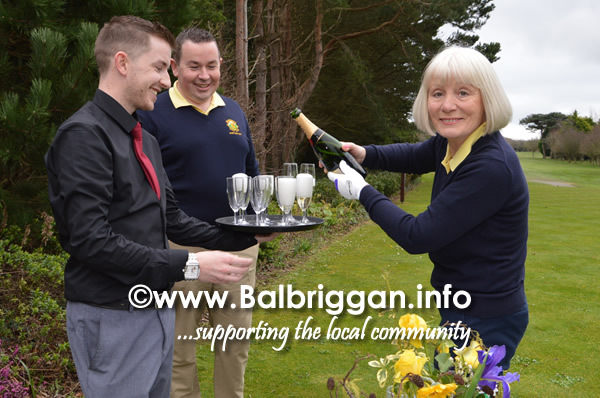 Balbriggan Golf Club held its 72nd Drive-in on Saturday 11th March 2017. 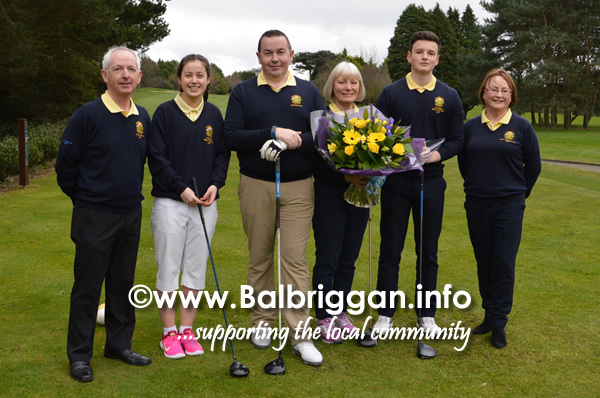 The Captains this year are Bernie Hunt and local man Peter Slevin .The Juvenile Captains are Luke Harrison and Kelly Sharpe. 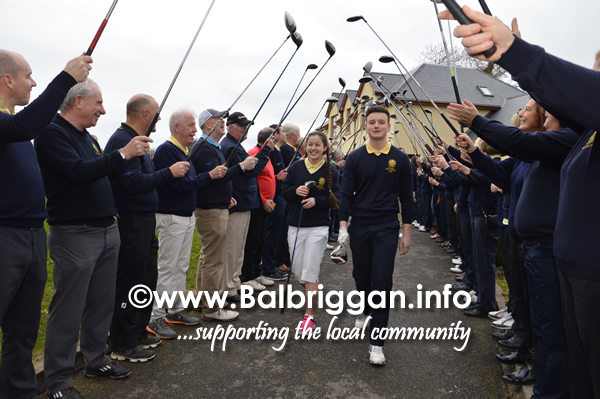 There was a magnificent Guard of Honour made by Members of the club and the 4 Captains made their way through to the 1st Tee box followed by huge applause for them. 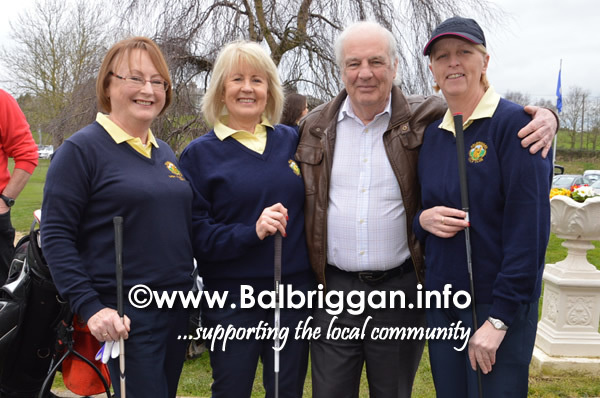 Captain Peter Slevin has been a member of BGC since the early 80’s and served on many committees over the years. 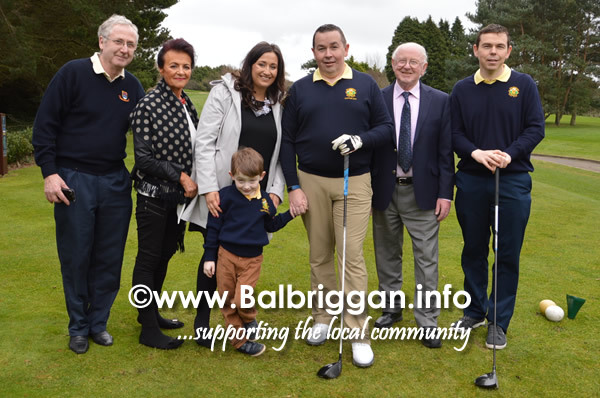 He was delighted to take on the role of Captain of BGC when he was asked by 2016 Captain John Fitzpartick. 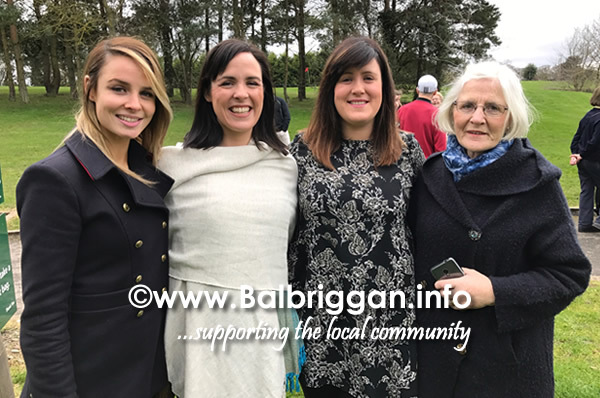 He was surrounded by his wife Emma son Charlie, his very proud Dad Noel , also his brother Rory and partner Lisa their daughter Molly and Peters in laws John & Kathleen & John Grufferty. 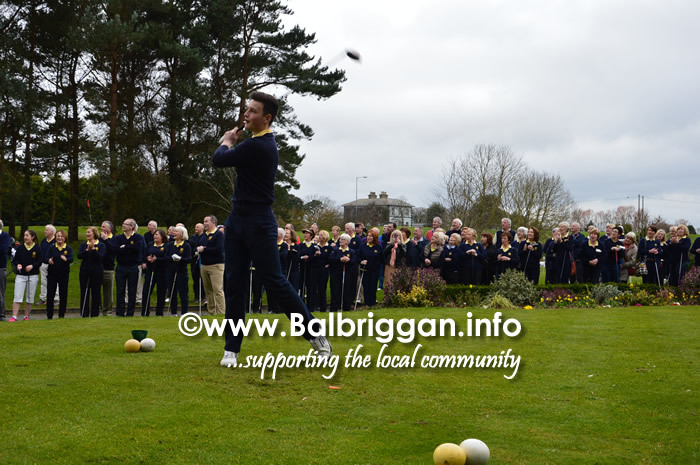 Vice Captain Tony Hamilton called the Captain to the first tee box and Peter showing no signs of nerves hit a fantastic Shot down the fairway to the cheers and applause of the huge crowd gathered. 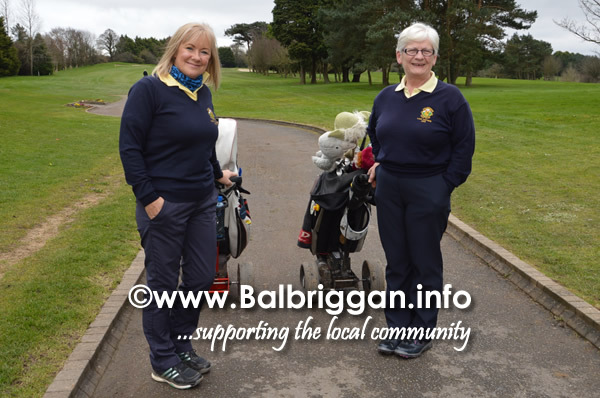 Lady Captain Bernie originally from New Ross, Co Wexford was also surrounded by family, her husband Jim who had made the journey from the Ukraine earlier in the week stood with their 3 daughters Sinead, Niamh & Shauna.. Bernie s sisters Margaret was also there to support the LC as she calmly marched to the Tee box and drove the ball well up the fairway to tremendous applause. 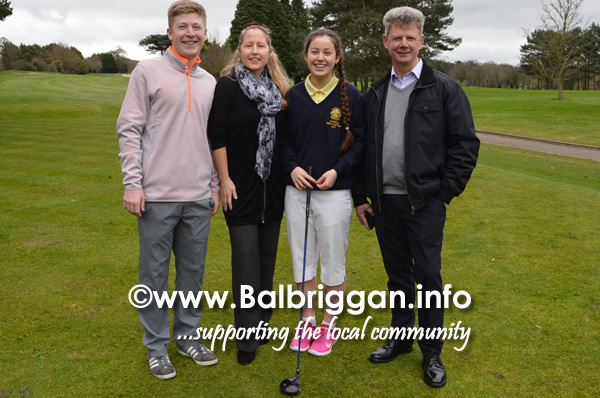 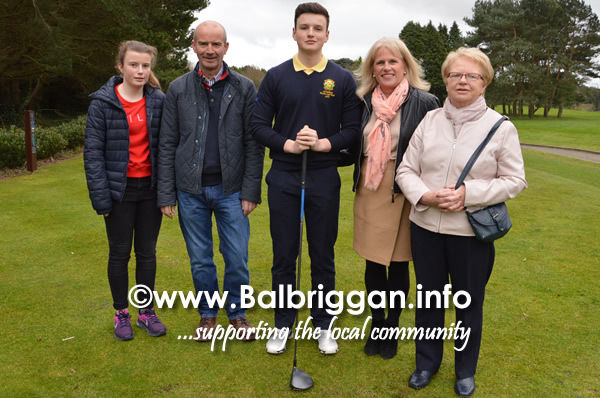 The Juvenile Captains Luke & Kelly dressed in Club Colours both shot their drives up the fairway as their proud parents, brother and sister & Grand parents looked on with huge pride. 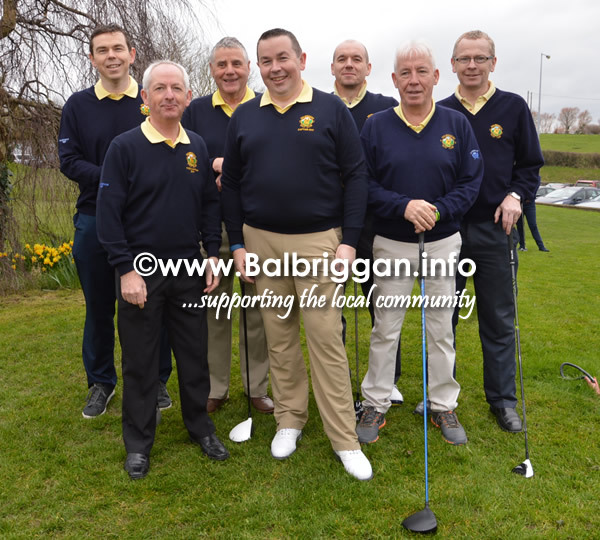 There were 3 golf competitions held on the day and the winners of the men’s completion were Mark Meade, Fergus Byrne, Robert McLean & Denis Mehigan with a fantastic Score of 54.1. 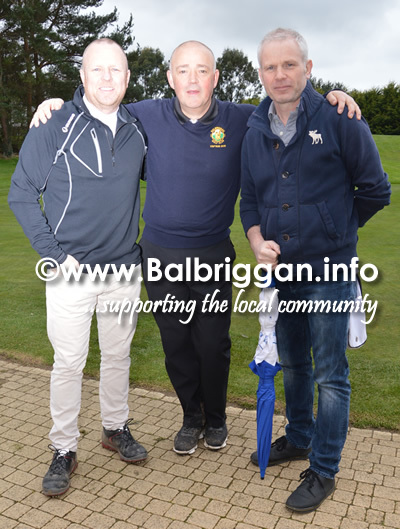 2nd prize was won by Captain Peter Slevin, Rory Slevin, Padraig Masterson & Darragh O’Callaghan. 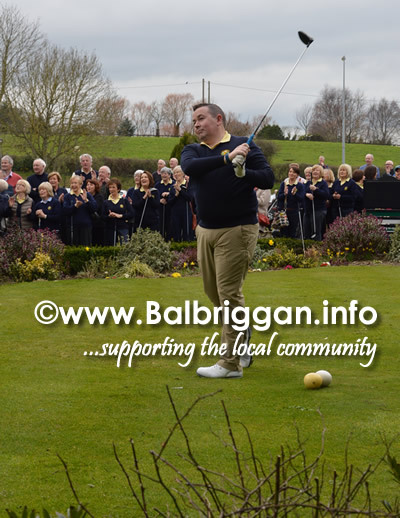 Score of 54.9. 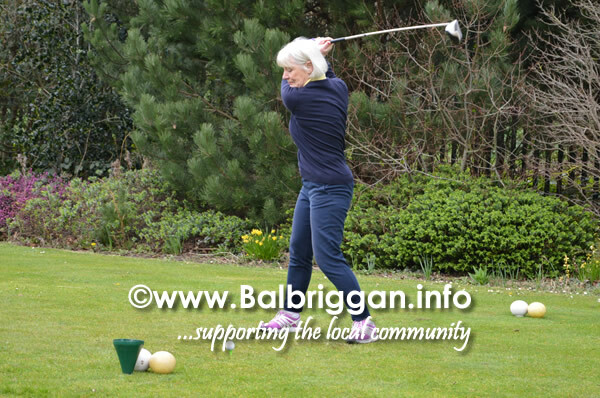 .The Mixed Competition was won by Dave Brabazan, Paul Cox, Nicola Campbell & Gillian Whelan Score 57.2 The Ladies competition was won by Melanie Andrews, Brenda Johnston, Sinead Walsh & Evelyn Whelan, Score 66.5. 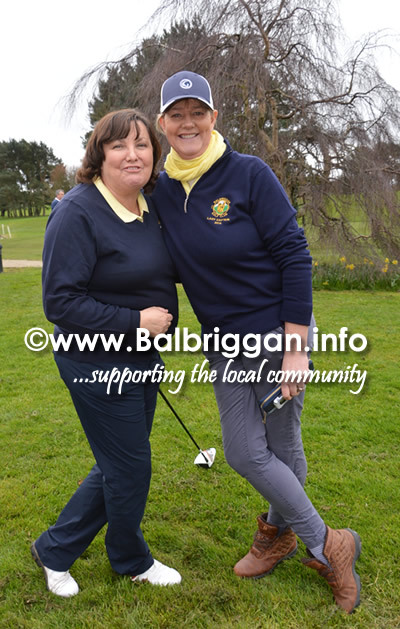 There was a fantastic turnout in the club house until the late hours and the two captain certainly enjoyed their day.